I hope you like it. The old logo will be replaced soon. The more I look at it, the more I like it. I think it was an excellent decision to stay very close to the old design. I wonder how it scales down to very small sizes, though, such as 16 ✕ 16 (the usual size for favicons). BTW I am using “manually localized” LT logo for my Facebook page where I post news and updates about Ukrainian module. I remember there was a discussion about “localized” versions of the icon but not sure if those were approved by LT and if they are still relevant. If they are I would use Ukrainian LT logo from there. I remember there was a discussion about “localized” versions of the icon but not sure if those were approved by LT and if they are still relevant. I don’t want to forbid any logo modifications, but is it really necessary? In the end, LT is one piece of software… it’s not like you can download a Ukrainian version of LT.
normal logo for the main component(s), ‘localized’ logos for the ‘language-packs’. Well, the FB-page I have is in Ukrainian and mostly about Ukrainian module and related projects (e.g. POS tag dictionary). Also I have a separate web-page (with only Ukrainian module) where I upload the most recent development version. Our module in LT repository is a bit behind as we’re actively developing POS tag dictionary and updating dictionary artifact at maven repository at least twice a week is a bit too much. 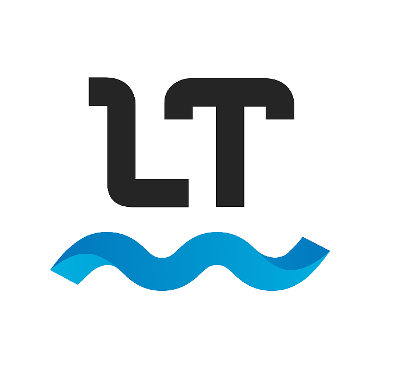 So I thought it would be more appropriate to have localized log, but if you ok with it I can use the official logo for LT.
Feel free to create a “UK” version of the logo, but I’m fine with using the original logo. As a side remark, I think the localized logo would look way better if you could make “UK” the same shade of blue as the wavy underline.